Under the new structure, Kuniskis, 48, leads passenger cars in North America and oversees Dodge, Chrysler and Fiat. Editor's note: An earlier version of this story incorrectly stated that FCA’s new structure reduces the number of direct reports to CEO Sergio Marchionne. Fiat Chrysler has shuffled its North American upper management, giving more responsibility and brands to Dodge boss Tim Kuniskis and Jeep head Mike Manley. 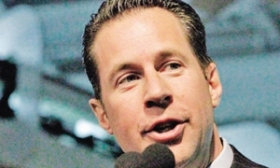 North American sales chief Reid Bigland also gets a larger role, taking over fleet sales in the region. The changes are effective immediately, FCA US said in a statement today. Other executives’ roles are diminished. Al Gardner remains head of FCA’s dealer network but sheds responsibility for the Chrysler brand to Kuniskis. Similarly, Jason Stoicevich keeps oversight of FCA’s California business center and adds responsibility for fleet operations and small-business sales, but oversight of the Fiat brand’s North American operations goes to Kuniskis. Under the new structure, Kuniskis, 48, leads passenger cars in North America and oversees Dodge, Chrysler and Fiat. Kuniskis was also appointed to parent company Fiat Chrysler Automobiles’ Group Executive Council, its highest decision-making body that includes top executives from around the globe. 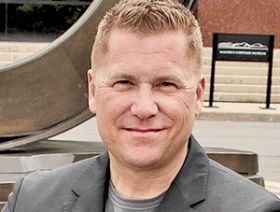 Manley, 51, continues to oversee Jeep and maintains responsibility for parent company Fiat Chrysler Automobiles’ Asia Pacific region, but also gets oversight of the company’s pickups and SUVs, including Ram. Ram brand head Bob Hegbloom continues to direct Ram’s day-to-day operations, but now reports to Manley. Gardner, 51, had overseen the Chrysler brand since November 2013. Gardner, the former head of FCA’s southeast business center, took over as head of FCA’s network of 2,600 U.S. dealerships at the same time. Stoicevich, 36, had overseen the Fiat brand since Kuniskis moved from Fiat to Dodge in 2013. He inherits a new fleet operations and small-business sales role from Kuniskis, and continues to oversee operations of FCA’s California business center. Stoicevich now reports to Bigland, FCA said in its statement.